Motorola, or better say Lenovo, doesn't want to be left behind in the race for the first foldable smartphone, hence the new patent the company filed recently. Although the patent that shows a smartphone that unfolds into a tablet was filed back in September 2016, it was approved in March 2018. 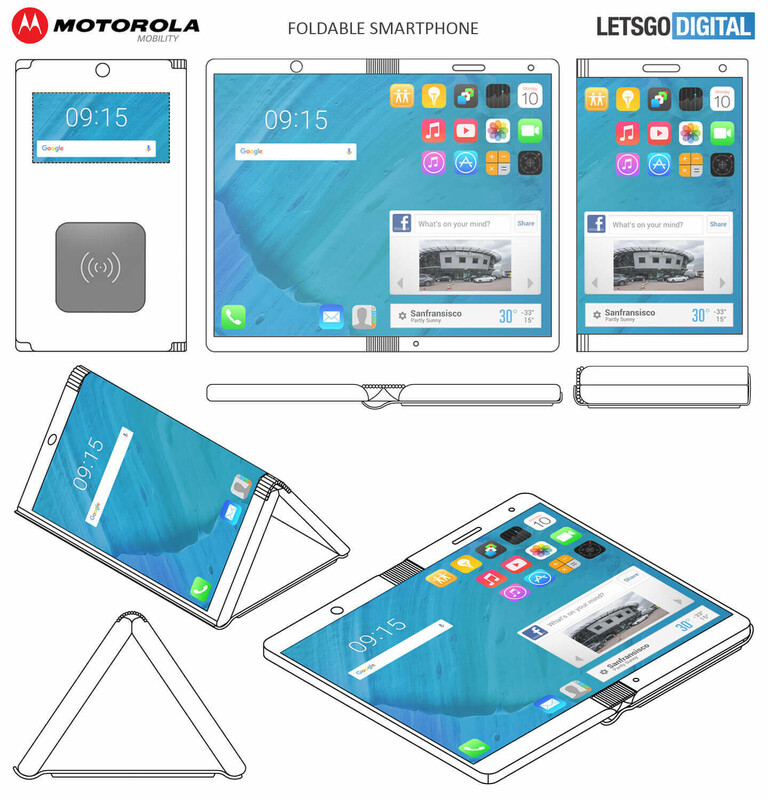 Designing a truly foldable smartphone is definitely a tremendous task, not to mention that developing one that's ready for mass market is even harder, so Motorola working on a device that can switch from a smartphone to a tablet factor seems close to impossible. The hinge in the middle of the smartphone/tablet device doesn't seem like an elegant solution. As a matter fact, it looks pretty similar to ZTE's Axon M foldable smartphone that features dual screens. The patent filing contains information about a cover that should not only protect the device but also act as a wireless charger when needed. Not sure how actual the device described in Motorola's patent still is compared to today's standards, especially that it was filed two years ago, but the important thing is more companies are tempted to bring new innovations in the smartphone industry. Wow. Foldable patents for everyone. Wonder if this is the rumored new razr phone?